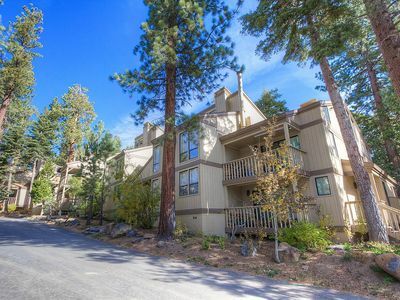 Looking for an amazing home for your next Tahoe getaway? Traditional family home in the perfect North shore location! 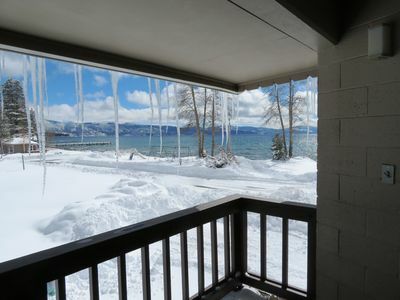 Home is right across from the beach, just a block from the ice cream shop, centrally located for easy access to either Northstar or Squaw/Alpine and just minutes to the North shore’s casinos, restaurants and night life! Kayak and paddle board rentals across the street, Treetop adventure tour less than a mile away, mini-golf fun minutes down the road...what more could one want? 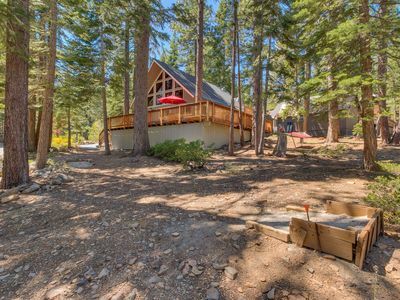 This spacious home has comfortable sleeping space for 13 and all bedrooms have private baths. 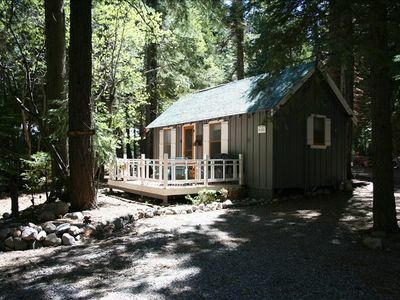 Repeat: All bedrooms come with their own private bathroom! This is a huge bonus when traveling with numerous families! 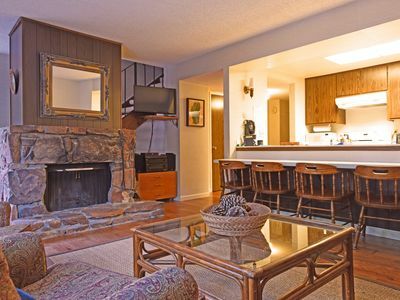 The living room is large and features a cozy L-shaped couch and a new flat screen tv with cable and internet streaming capabilities. 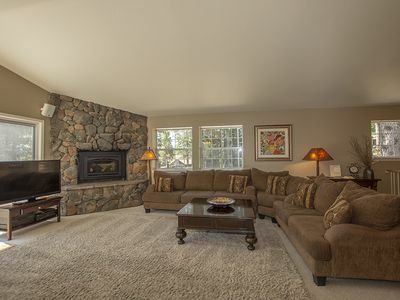 The high ceilings, large windows and open floor plan create a sense of warmth and comfort. 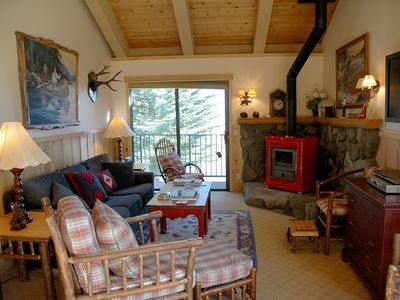 There’s even a gas fireplace to cozy up to on those chilly winter nights. 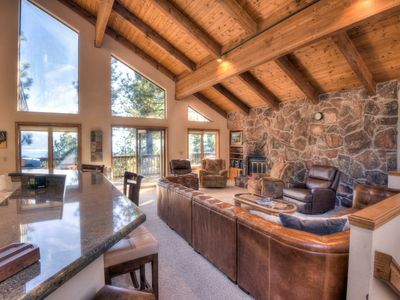 There’s a dining room table off the kitchen where you can dine while enjoying tv and the view. There’s also an office area in the living room so those that work on the road can do so and still be a part of the group. 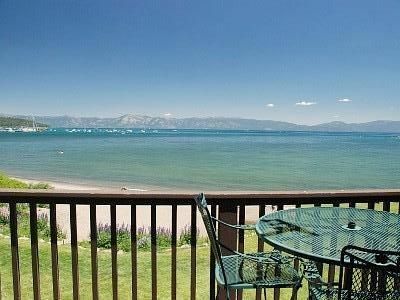 The front deck is the ideal place to unwind. 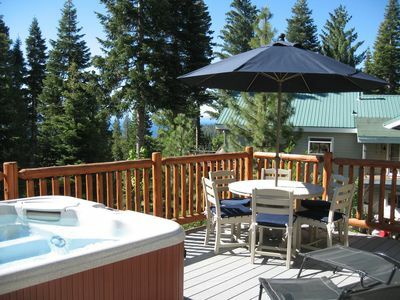 There is a private hot tub, patio seating and even a view of Lake Tahoe. 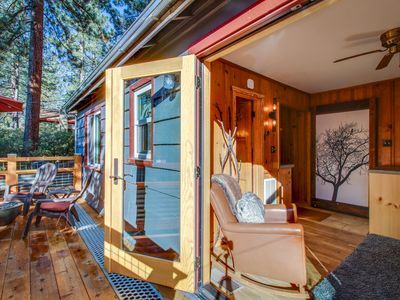 All this while the sun shines on the half acre lot on which the house sits, ready for sledding and snow ball fights in the winter and croquet and corn-hole in the summer. 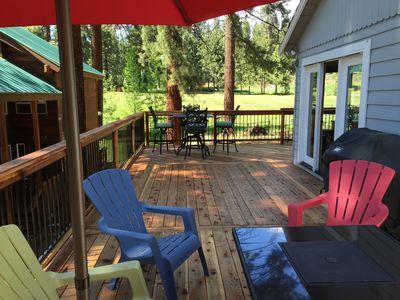 The back deck offers even more space to enjoy the sunshine while grilling up a great meal. 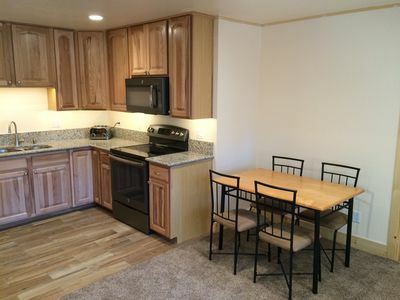 It’s located just off the large kitchen and dining area. Kitchen features tons of counter space, two full-sized sinks and brand new stainless appliances including a 5-burner gas range. 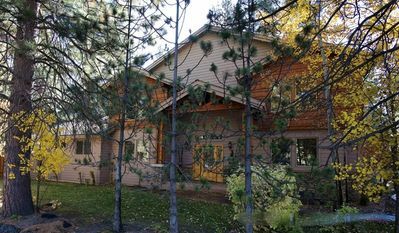 Home has 5 bedrooms, 3 of which have queen beds and on-suite bathrooms. The 4th bedroom also has on on-suite bath and houses a queen + a twin bed. 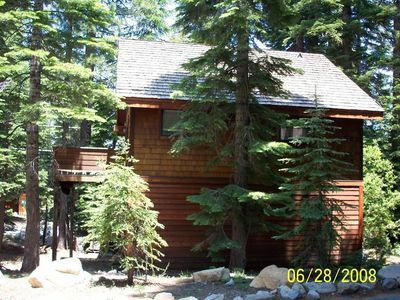 The last bedroom has 1 twin and 1 pyramid bunk bed (1 twin & 1 full/double) and use of the full bath in the hallway. The master suite boasts a queen bed (mentioned above), large closet, new flat screen TV and an en-suite bathroom with jetted tub and separate shower. 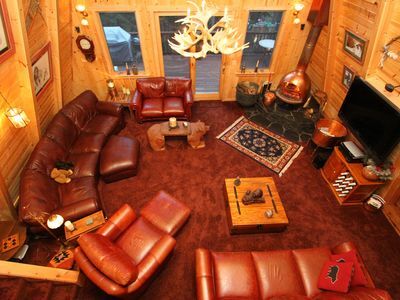 It is the only bedroom on the upper floor. Sleds are supplied whether you want to play in the winter wonderland front yard, or drive just two miles to the Kings Beach Sledding area. 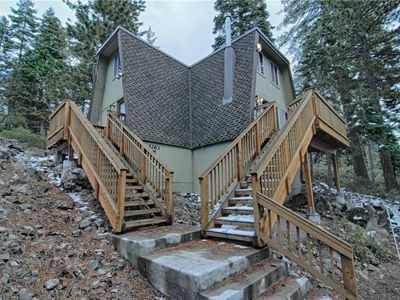 An exceptional and truly unique place to stay during your next Lake Tahoe holiday! Bring the whole family! Pets negotiable ($50 per pet). 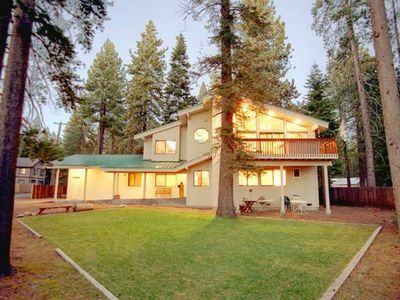 Bear Cabin - Luxurious Private Snow Ski Next To Tahoe National Forest w/acreage! 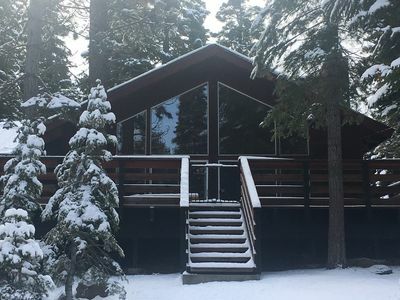 Make Our Cabin Your Ski Oasis! 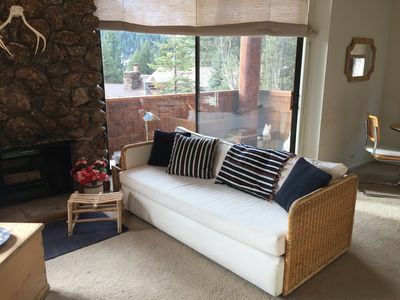 Squaw Valley, Christy Hill Condo, Walk to Lifts! 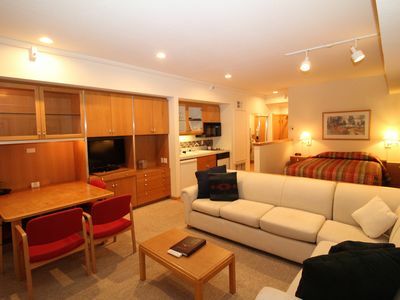 NEW LISTING - 2 BR (+ Loft) Chalet on the North Shore with Hot Tub!